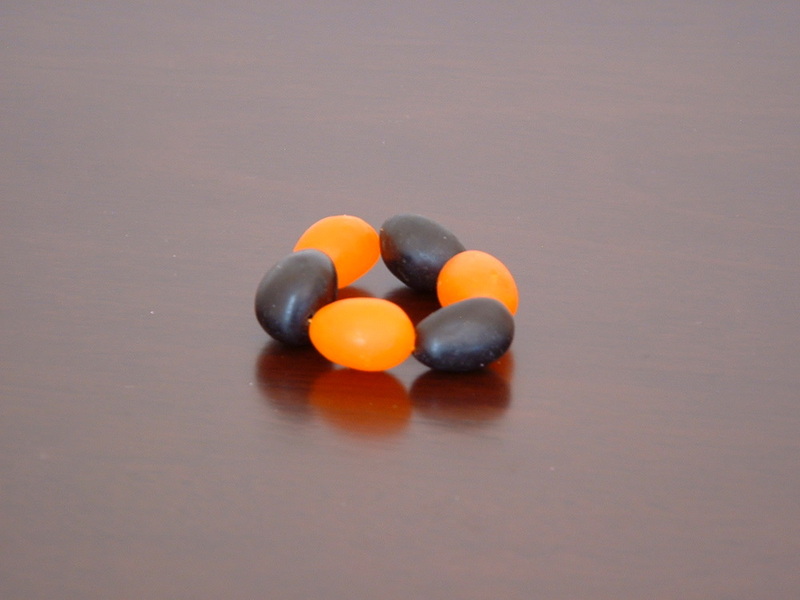 Jelly bean bracelets are a quick and fun craft project for the holidays. 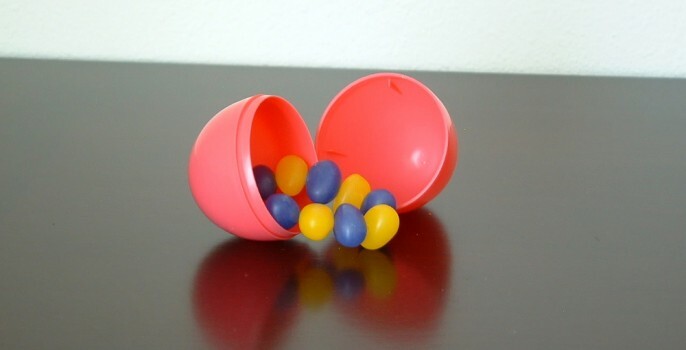 These are made with Easter in mind, but as you’ll see at the end of the post you can play with colors to make them appropriate for other holidays too! 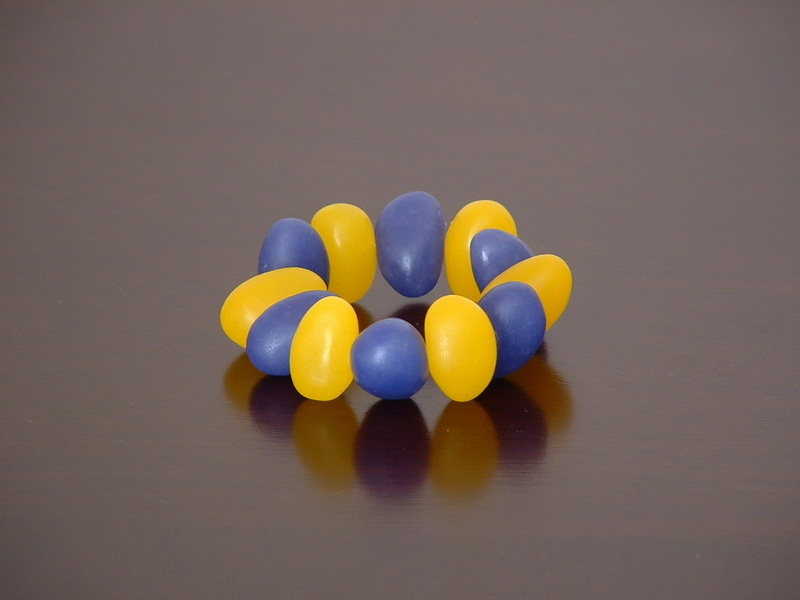 The bracelets can be stuffed into plastic eggs, used for color coding an Easter egg hunt, prizes for games and activities or just for fun. 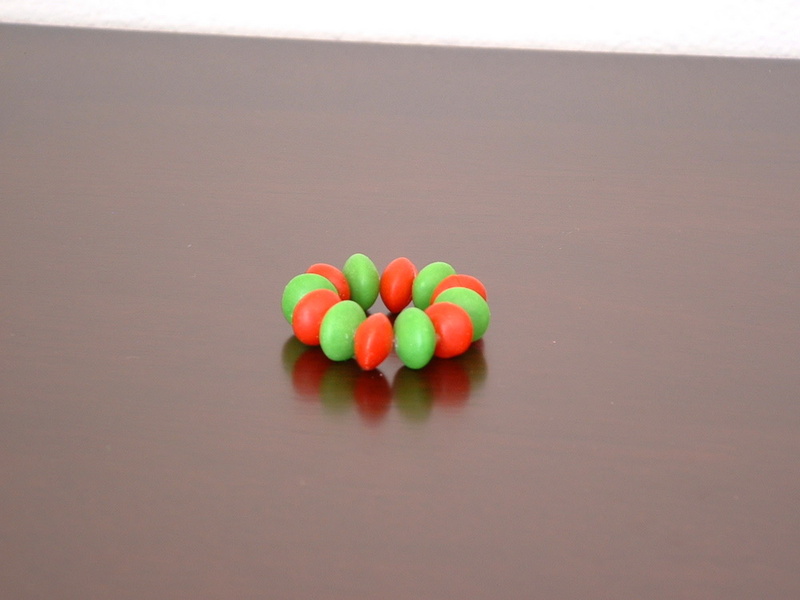 Edible jewelry is a lot cheaper than the real thing! 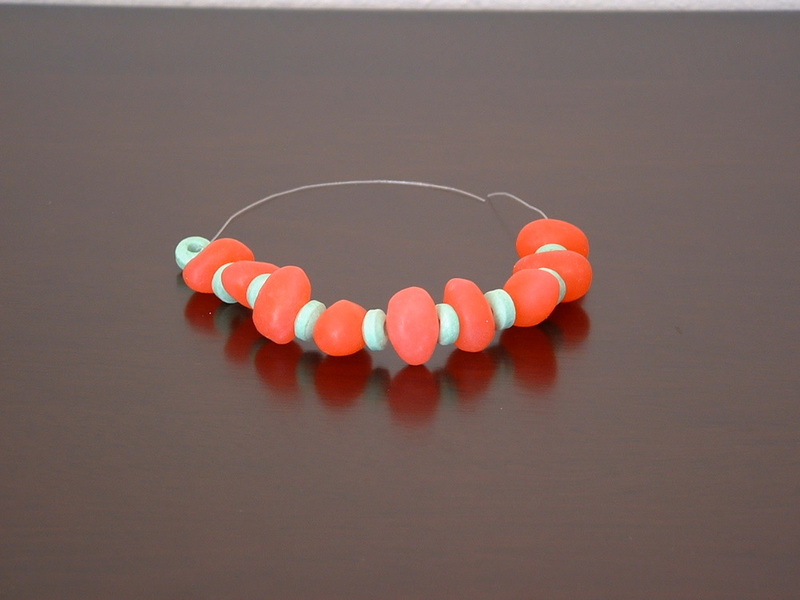 For under $10 you can make several bracelets. 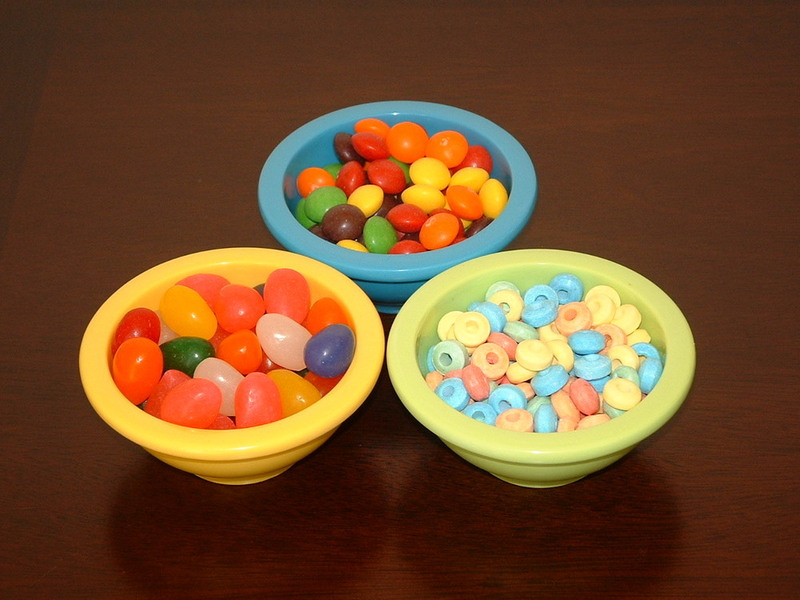 Other candy (if desired) such as candy beads, Skittles, candy corn, bubble gum, etc. 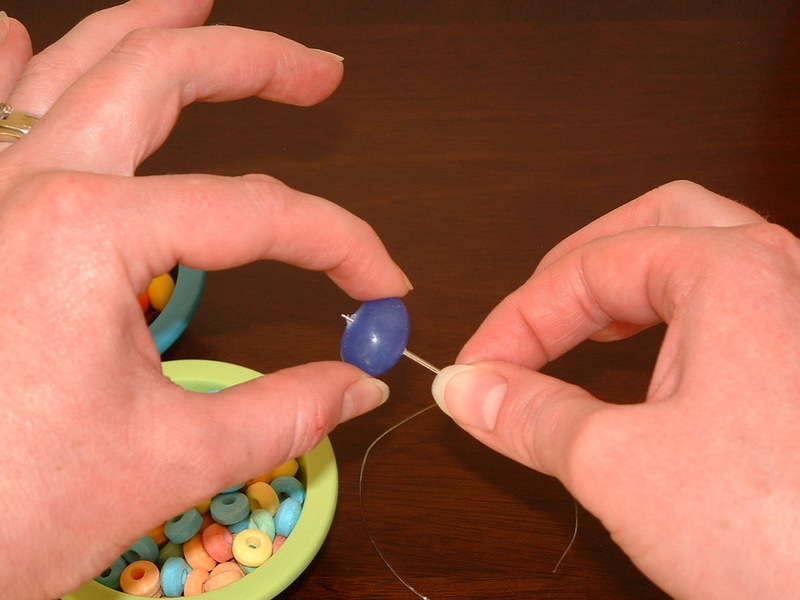 Craft needle – I used a candlewicking needle but other needles with an eye large enough to fit the stretch cord will also work. 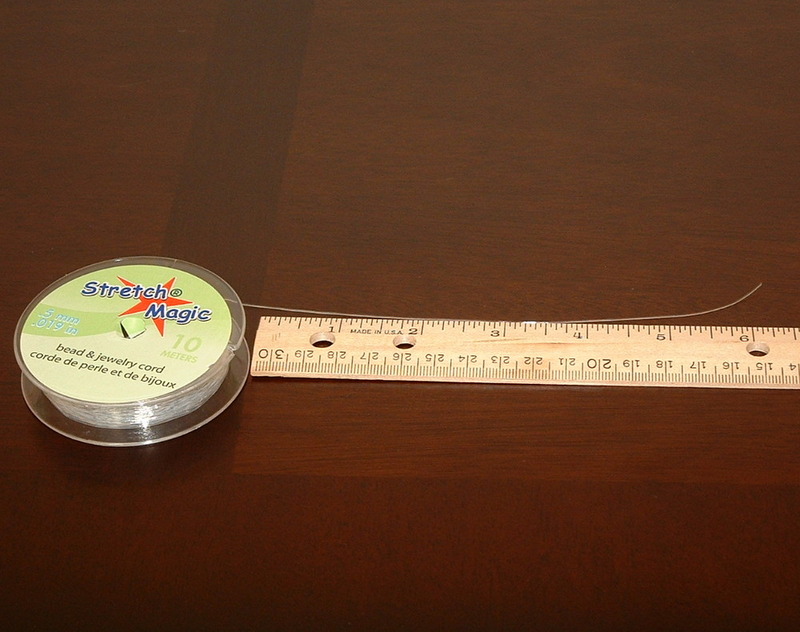 Measure out and cut stretchy cord. 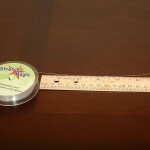 I used between 6″ and 8″ so that I had plenty to make a knot at the end. Smaller bracelets will require less cord. 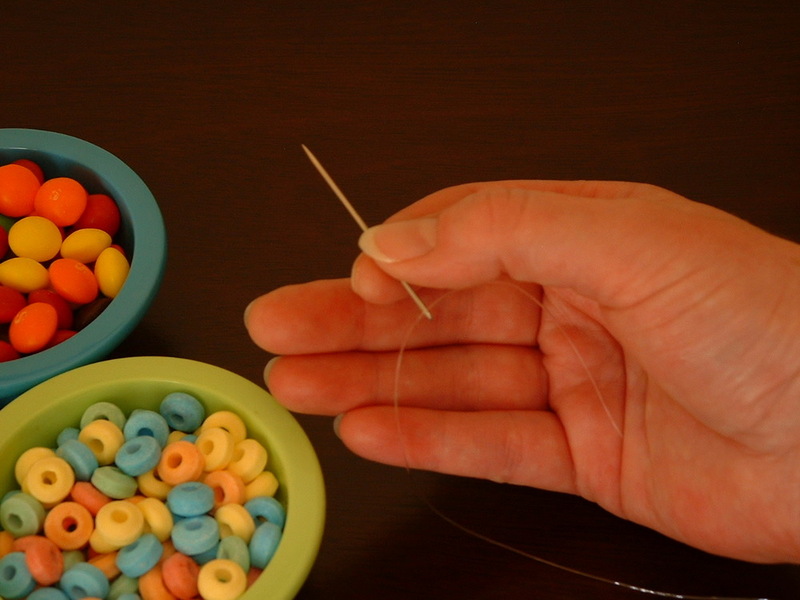 Thread cord through eye of the craft needle. 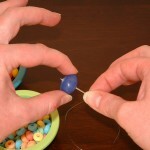 Pierce jelly bean with needle, twisting to prevent cracks in the jelly bean and thread onto stretchy cord. 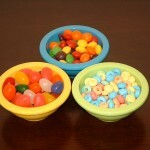 Get creative by alternating candy beads with jelly beans or any other combo that you might like. 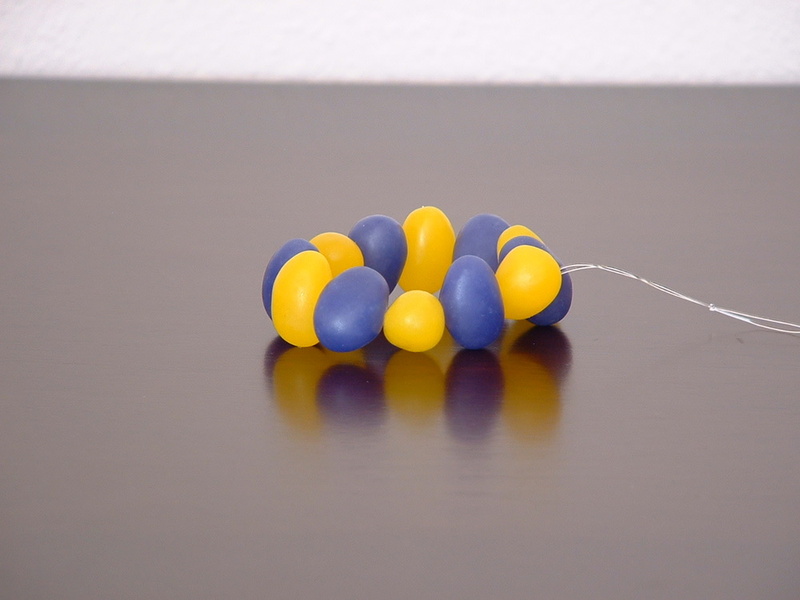 When you have your desired number of jelly beans and/or other candy threaded onto the cord, tie a double knot, making sure to pull stretchy cord taught. 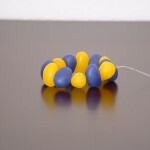 A knot is made by bringing the two pieces of cord together, wrapping them around your index and middle finger and holding together with your thumb. 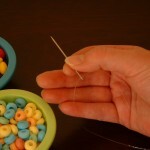 Bring the cords down between your index finger and middle finger to make a loop: pull tight. Repeat for a double knot. Cut off any excess cord and you are done! 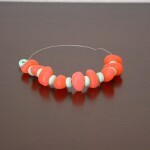 The bracelets are meant to be consumed and won’t last long around little ones! Make sure to supervise young children. 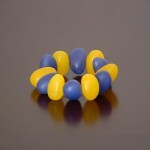 These bracelets don’t have to just be for Easter. 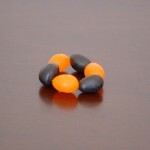 Red and green candies can be used for Christmas or use orange and black jelly beans for Halloween.